Born & Bred, Farmed & Fed! 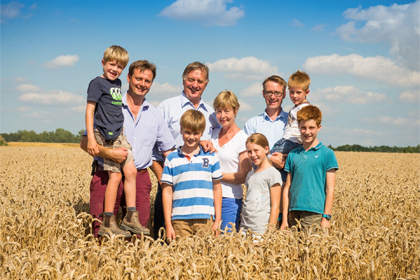 With 50 years of farming behind us, we are a family run farm that knows what it takes to produce great tasting quality pork products. Born & Bred, Farmed & Fed. 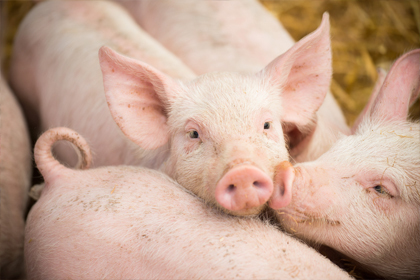 Our pigs are fed crops grown and milled on the family farm so we can confidently tell you what's in your meat. Quality farm made sausages, burgers, bacons and hams prepared, cured and smoked in our home farm butchery. 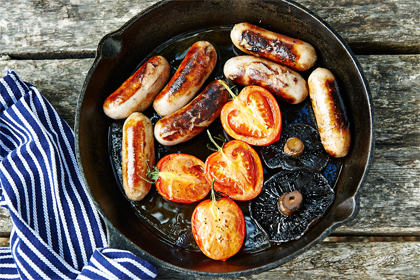 Our delicious Olde English Pork Sausages are prepared by hand in our farm butchery using only the succulent prime cuts of British farmed pork blended with thyme, nutmeg, sage and pepper. Made with 75% pork meat. These truly tasty Pork & Apple Burgers are prepared by hand in our farm butchery using only the succulent prime cuts of British farmed pork blended with spices and sweetened with apple. Made with 80% pork meat. This tasty smoked back bacon is dry cured by hand and smoked over beechwood chippings in our farm smokehouse and butchery for a truly delicious, succulent flavour. These truly tasty Pork & Apple sausages are prepared by hand in our farm butchery using only the succulent prime cuts of Wicks Manor pork blended with spices and sweetened with apple. Delicious streaky bacon wrapped chipolatas made in our farm butchery. 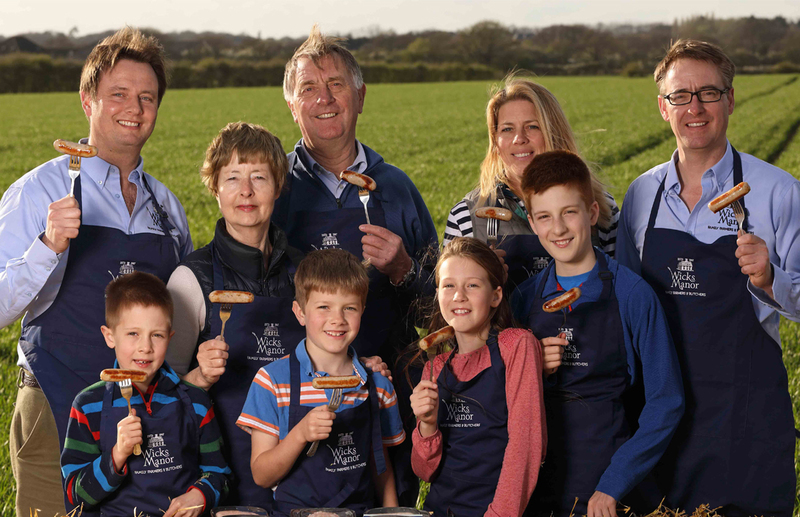 Our award winning sausage meat is made using only the prime cuts of Wicks Manor pork! Our succulent smoked gammon joints are made from high quality, farm reared pork. 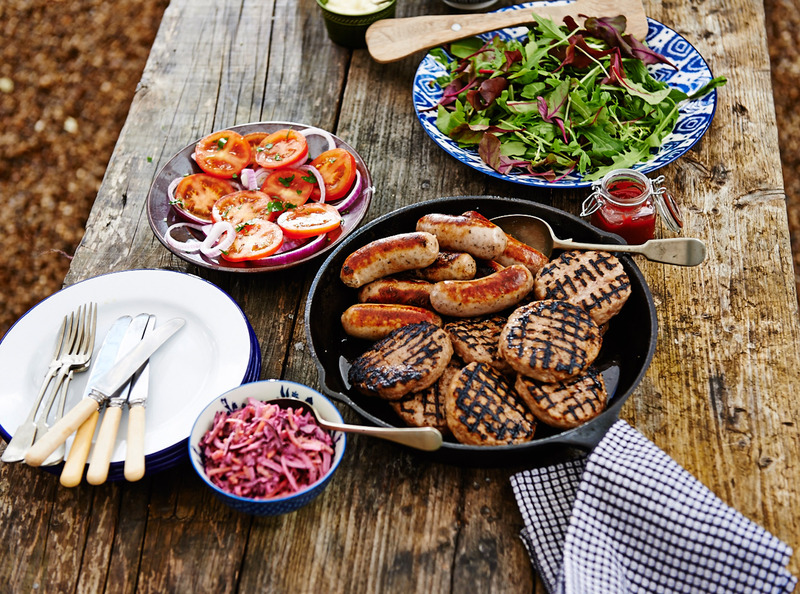 These delicious, gluten-free pork sausages are made on the farm to a traditional recipe using only prime cuts of Wicks Manor Pork blended with mixed herbs & spices. This tasty smoked streaky bacon is dry cured by hand and smoked over beechwood chippings in our farm smokehouse and butchery for a truly delicious, succulent flavour. Beechwood smoked & dry cured on the farm. This tasty unsmoked back bacon is cooked and dry cured by hand in our farm butchery for a truly delicious, succulent flavour. Our Smoked Sliced Ham is prepared on the farm using only succulent prime cuts of Wicks Manor pork, cured by hand and smoked over beechwood chippings in our very own smokehouse. Delicious! Our succulent unsmoked sliced ham is cooked and cured on the farm using only succulent prime cuts of Wicks Manor pork. 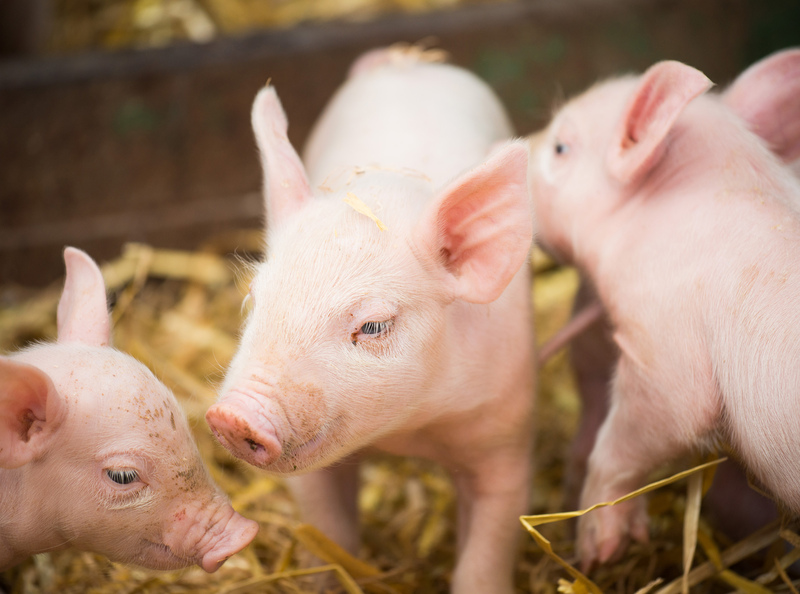 Prime pork chipolatas prepared in our farm butchery. This delicious honey roasted ham is cooked and cured on the farm and made using prime cuts of Wicks Manor pork. Our succulent smoked gammon joints on the bone are made from high quality, farm reared pork. Our succulent unsmoked gammon joints are made from high quality, farm reared pork. Our succulent unsmoked gammons on the bone are perfect for Easter and Christmas. BBQ marinated pork ribs prepared in our farm butchery. Succulent prime pork loin joint. Our delicious pork belly is great for sunday lunch, a romantic meal or dinner party. Please enter your details below to sign up today. All fields are required.